From picture-book masters Margaret Wild and Julie Vivas comes this gentle and moving story about the love between a little boy and the duckling that stays with him all of its life. 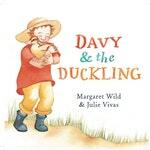 When the baby duck hatched, the first thing it saw was Davy. It fluffed its feathers – and started following Davy everywhere. Around the farmyard, under the apple trees and all the way home. 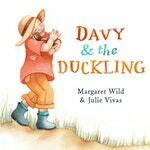 Love Davy and the Duckling? Subscribe to Read More to find out about similar books.